The Arfon Working Gundog Club have held their first two Field Trials of the season at the Glasfryn Shoot, nr Pwllheli, Gwynedd by kind permission of Mr Gwilym Jones. 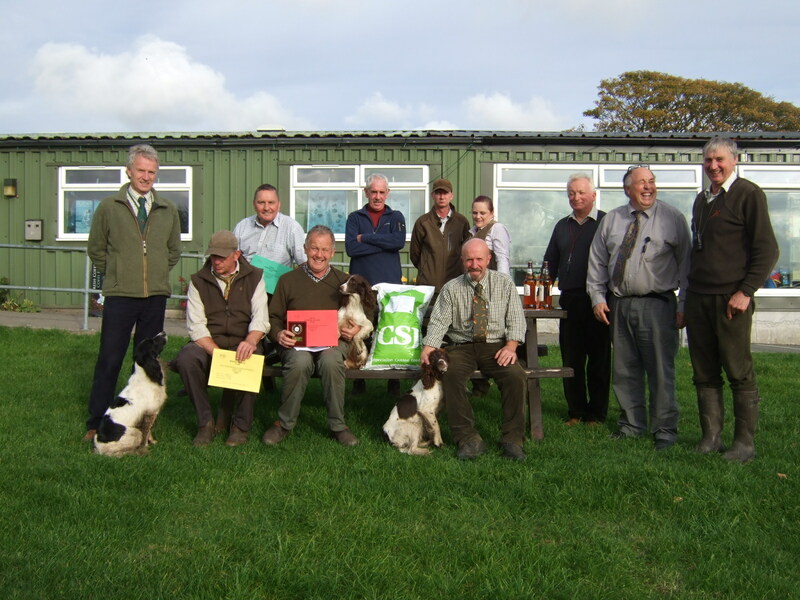 An Open Stake for 16 English Springer Spaniels was held on the 20th October 2015 . The judges were Mr Adrian Slater and Mr Norman Blakeney. The weather was dry and overcast with a steady supply of game and after the end of the second round the judges compared notes and three dogs were called for a run off Rytex Riggle, Marchwood Rova & FTCH Chinachgook Roberto and following the run off Rytex Riggle was declared the winner. On the 27th October an A.V.Novice Retriever Stake for 14 dogs was held with Mr Barry Cooper, Mrs Glenys Caldwell, Mr Gary McCarthy and Mr Peter Thompson judging. The trial was a driven day but the weather in contrast to the spaniel stake was cloudy initially but we soon had a steady drizzle with some heavier showers. I would wish to thank Mr Gwilym Jones our host and his helpers, together with the club’s helpers, the judges, the guns and the competitors for making both days a success. Finally I would like to thank our sponsors CSJ Specialist Canine Feeds and Mr Gary McCarthy of Gundog Gear. Continuing their tradition for producing health-giving treats CSJ tasked their nutritionists to formulate a natural treat aimed at combatting stiffness, pain and inflammation …. and also suitable for elderly and overweight dogs. With its blend of 70% low fat white fish owners can now pamper their pets with the deliciously chewy treats which also combine Devils Claw, Turmeric and Oleograph to help maintain healthy joints. Fish’n’Hips are now available in handy 100g re-sealable packs at £3.95 with a feeding guideline of one per 10kg of body weight per day. 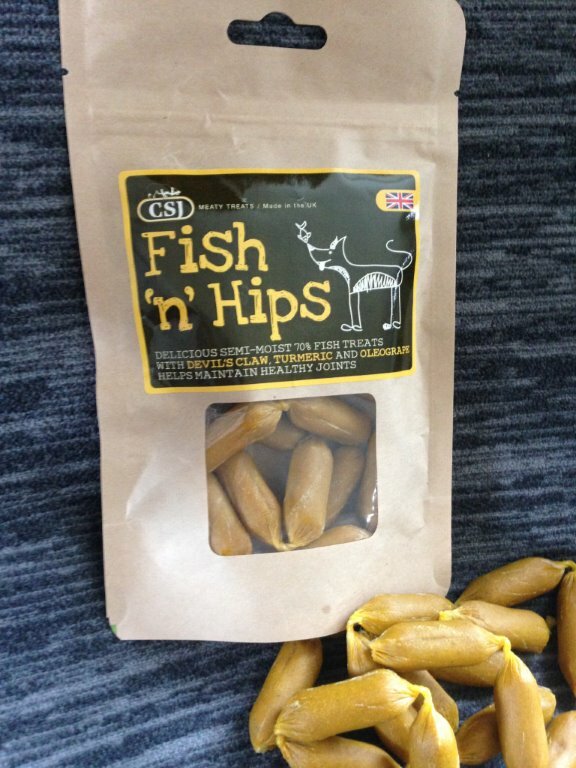 Checkout Fish‘n’Hips on CSJ’s menu of Natural Herbs and Supplements at http://www.csjk9.com or call 01745 710470 for more information. We’re proud to announce that Gaetan, a member of a large agility club who uses CP24, CP18 and CP27 for his BORDER COLLIES, became French National Champion in his category with his BORDER COLLIE this year. 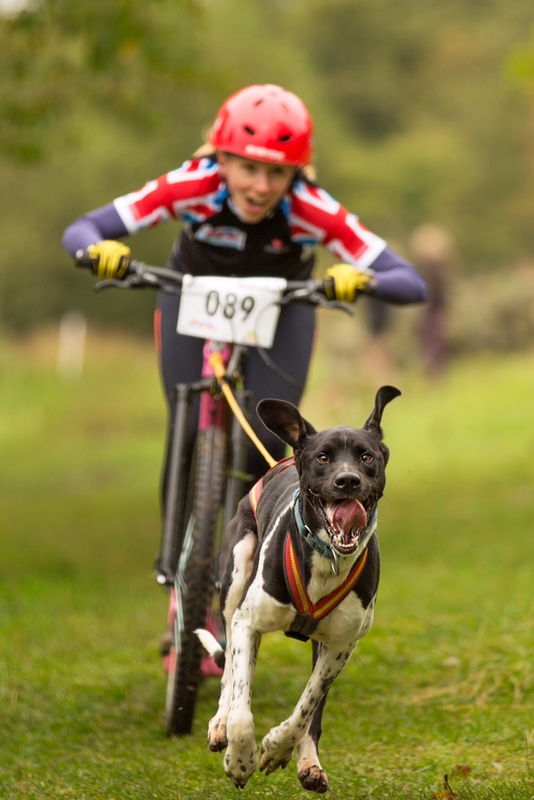 Cliff Tett’s wife, Liliane is now invited to train at a large agility club where the members now purchase CSJ. It is extremely difficult for any dog food company to break through into the agility market in France, but Cliff offered the herbs and treats initially to people and gradually, he has been invited to bring CSJ dog food to shows too. It has taken a couple of years or so but he is making huge in-roads now. Jardirect now attend the agility shows and often find an area is cordoned off and reserved for just CSJ! A huge achievement. 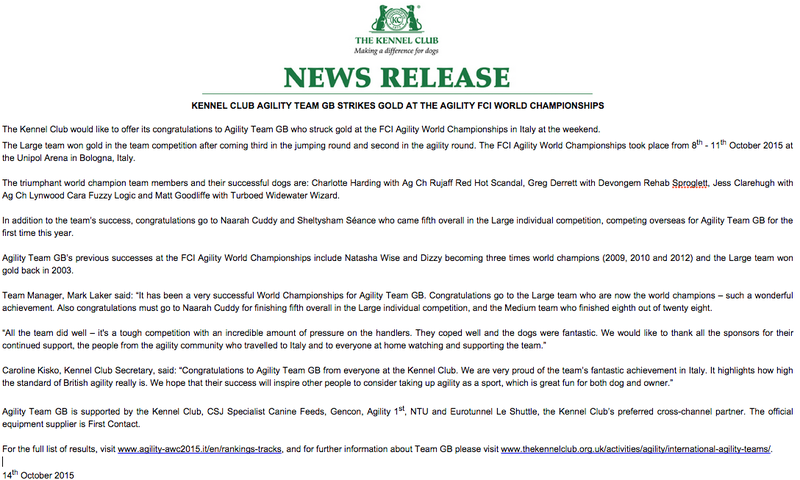 Latest press release from The Kennel Club. Please click to enlarge.